I have not written for quite some time but now that I have found the energy, here’s something that I’ve been thinking for quite a while now. With the much awaited passing of the RH Bill in the Senate, Sen. Tito Sotto, a staunch anti-RH Bill advocate, delivered his turno en contra speeches the past weeks. 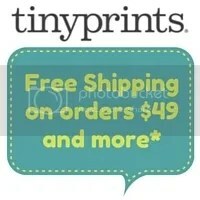 It generated much buzz mainly because of the facts stated. 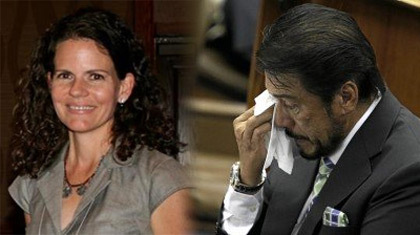 Some question the truth behind them – Sotto claimed wife Helen Gamboa used the pill Diane and cause the death of their son – but most questioned the sources of the esteemed senator. We’ve all read the stories. In fact, Filipino Freethinkers took the liberty to document the events that transpired in the past few weeks. It has been indeed a roller coaster month for the RH Bill, but the worse can be said of the Senator’s position. It has become a big deal because it’s plagiarism. It was direct, simple, plain and crystal clear; the speech contained huge portions of someone else’s work and was delivered without any acknowledgment of the source. When a crass apology is given out by people apparently assuming to be in the position to issue one and arrogance shines through, it fails to meet its purpose. 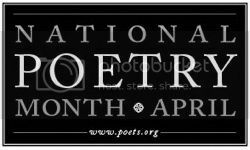 Apologies are given out with humility and utmost sincerity, not an out-loud rhetoric of whom to crucify for the error. Netizens have clamored all over virtual space not because of a bandwagon mentality. As people who write and live virtual lives, it is important for us to verify and be clear about everything. It is a public pool of information indeed, but it doesn’t equate to public belonging. Ownership – of words, images, opinions, sounds – still applies in this side of the sphere, and we do our best to give credit where it is due. Evidently, with Sotto’s refusal to issue an apology, the Senator exudes the impression that he is above common courtesy. I wish he just took the example of Manny Pangilinan, whose commencement speech was discovered to be plagiarized as well. Humbled, he admitted his mistakes as his own (even if he has his staff to blame for sloppy researching), stepped down the board and showed everyone how sincerity should be expressed. Take a knee, Mr. Senator. You’re no better than anyone else; you err just as much as we do. The only difference is everyone else has owned up to it, but you. I wonder if people still remember that August 19, 2012 marks the 1000th day since the massacre that shocked the nation. 58 bodies, 32 of which are members of the media, marked what was dubbed as the greatest political killing in Philippine history. And it wasn’t even Martial Law. To say that greed will imprison us all is an understatement, as justice has yet to be served to the families of the victims. Zaldy Ampatuan hasn’t even been tried and already numerous witnesses have been slain and literally chopped to pieces. Do you remember that day? Do you remember how the press united for this cause? The death of so many people removed all identities in the press. There was no Kapamilya, no Kapuso. Everyone was just in mourning and thirsty for justice. It seems to be taking its time to get there though. I feel bad for having forgotten about Jonas Burgos. 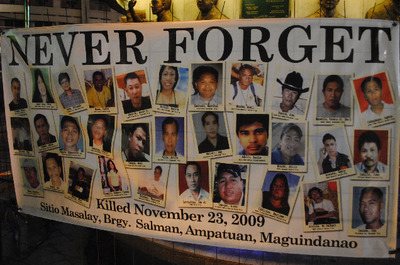 Upon catching up with the news on the Ampatuan massacre, I just told myself I will do what I can to not forget. My former college professor is one of the prosecutors on this case. I should really touch bases with her. 58 bodies. Ampatuan not arraigned. Witnesses slain. Do not forget about them. Do not let them disappear from your sights. It was like Magsaysay’s plane crashed by the side of the mountains again as we lost another honest man to fate. 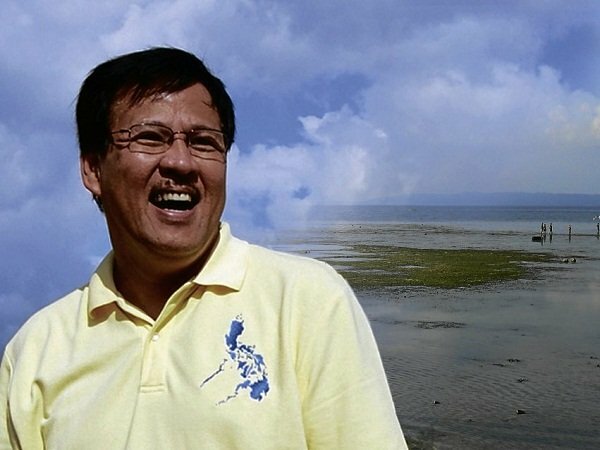 DILG Secretary Jesse Robredo passed away when his plane en route to an emergency landing in Masbate crashed in sea. 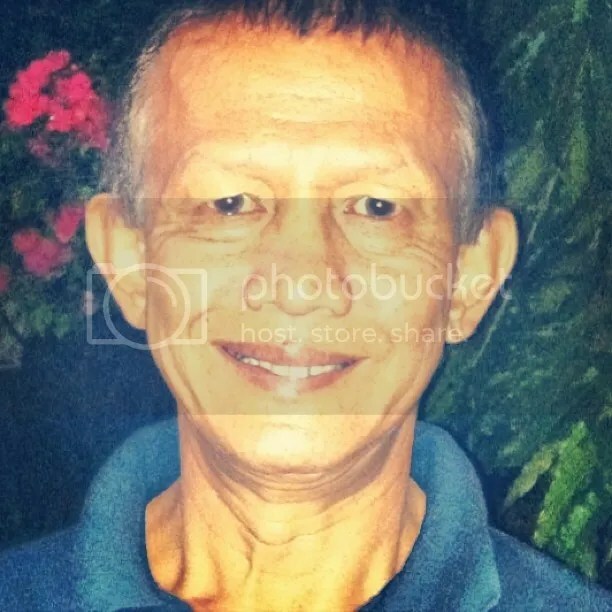 It took some time but his body was retrieved Monday, August 20, 180 ft. under water. The two pilots are yet to be recovered (as of writing), and already the nation is in mourning. I will not pretend to be well versed about this man, but from what I’ve heard in the past, he is one of the few good ones. Words that had come up when describing him were simple and humble. I feel quite unfortunate to have not witnessed his miracles while in office. My heart joins the nation in mourning for him, but mostly, it mourns for the loss of the likes of Jesse Robredo, when already we have so few. Although the month of August promises a good back-to-back of long weekends, it has also given what seem to be the worst rains of the year. The monsoon exceeded Ondoy levels, and Igme left the northern tip of the country somber. But, like Ondoy, it has brought out the spirit of the Filipino. It has even caught the attention of the New York Times blog. I felt pretty good about that. However, after a good mulling over, you kind of want to ask yourself: does a tragedy have to happen before we rally together? A friend commented that the Filipino race could use a do over. I can’t really disagree; we have failed each other more times than we have impressed each other. I just hope we won’t need a deluge to bond. Or a good government official’s death. Or a massacre. I hope the Filipino race can rise without the need for a tragedy to rise from. The current state of the nation is enough tragedy in itself. Death and loss need not be such a big factor to be a motivated people.